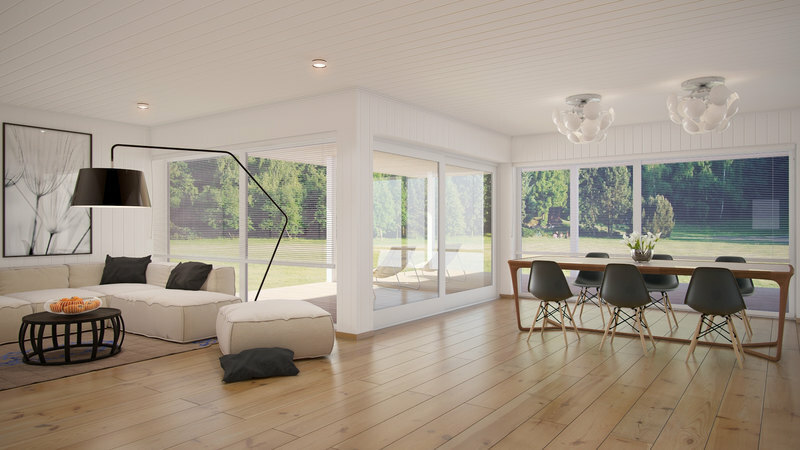 Our floorplan will have a kitchen with centre island, that looks over a dining space and a lounge space, that in turn look out onto our garden (with access through 6m bifold doors). The whole place will be open plan…no walls. Although I love the idea of open-plan, it does also terrify me a bit as I don’t want the space to feel vast and unwelcoming. Instead, I want to create “zones” that we can enjoy and move around in. What open plan living does give us though, is space – space to showcase some of our furniture and create design showpieces and focal points. Which means I’ll be much more choosy when it comes to the furniture we move into the new house. So why not grab a cuppa and join me? 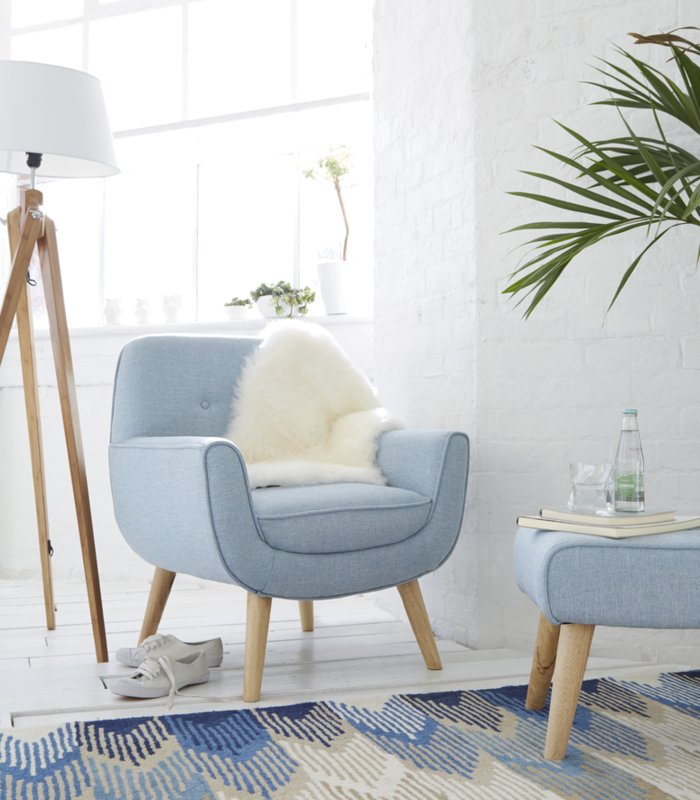 Adoring this Oslo Chair from Kaleidoscope. Who knew the did home ware? While I was browsing their city, I also spotted this Scandi-inspired Magazine Rack, which I now want in my life! I think I’d like to create a reading corner or space in our open plan living area with a chair and rack like above. I’d have to have a floor-to-ceiling bookself wall too. I love this one (image sourced here). Because it’s one fluid space which’ll have the same flooring throughout (hopefully parquet! ), I think we’ll need to create zones using rugs, as well as furniture. I love the way these homes have made a feature of their free-standing lamps…look how large it is! Love it! (Image sourced here). For a small space, these guys have zoned their open-plan living area really well. (Image sourced here). And these guys have really used rugs and furniture to create zones and flow in their open-plan living space. Love it. (Image sourced here). Phew that was fun and an hour later, I’m reeling with open plan living design inspiration. I now know I need to showcase some key pieces of furniture, like the Oslo chair, I can make a feature of large floor-standing lamps and I should aim to create zones using rugs. What do you think? Any tips for perfecting the open plan living space?